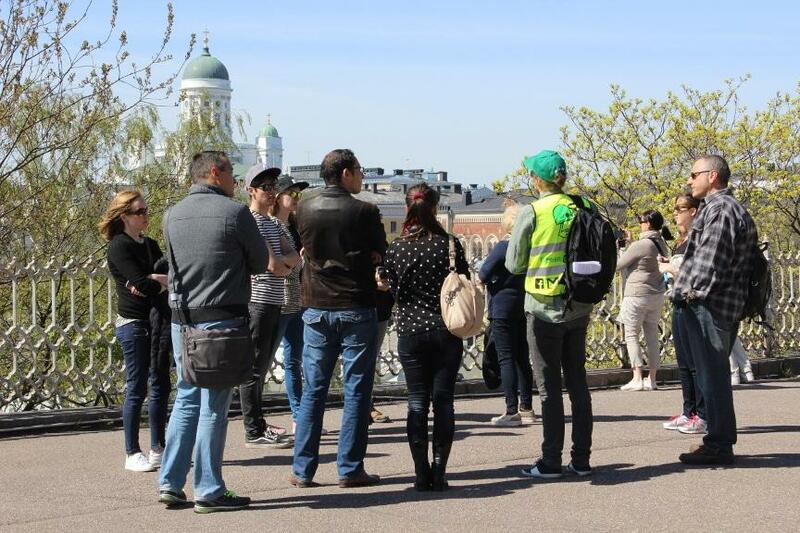 Until the end of April 2019 we organize Helsinki Free Walking Tour on Wednesdays, Fridays and Saturdays @11AM. From May 2nd every day @11AM. Starting point is the Senate Square, the base of main staircase leading the White Cathedral. Please reserve your spot. This way we can anticipate the group size and provide appropriate amount of guides. Hasta finales de marzo, los sábados a las 11:00. Comenzando el 2 de mayo todos los días a las 11:00. Empezomos en el fondo de las escaleras de la Cateral de Helsinki en Hallituskatu 9 (en la Plaza del Senado). Por favor reserve su lugar. De esta forma, podemos anticipar el tamaño del grupo y proporcionar la cantidad apropiada de guías. 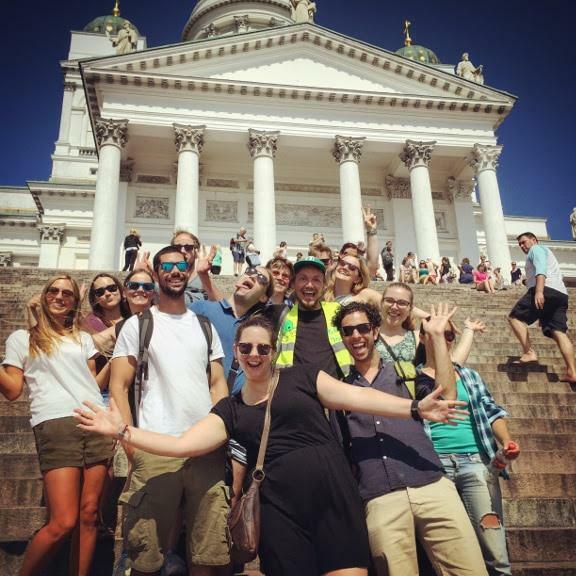 This is the fifth year when Green Cap Tours offers Helsinki Free Walking Tour. And the feedback has been truly heartwarming. We must be doing things right! As the demand is rising we want to keep serving the travelers the best way possible. Welcome to join the Green Cap Free Walk according the schedule. Sundays and on public holidays we have to rest to keep fit and able to give guys the most entertaining Free Walking Tour in Helsinki. When in need of quick and simple orientation to a new city, Free Walking Tour with a local guide are great. There is no ticket purchase beforehand, you simply come to starting place and at the end of the tour you can leave a tip if you feel the tour was worthy. Tipping is completely voluntary. This is a great introduction tour to Helsinki. 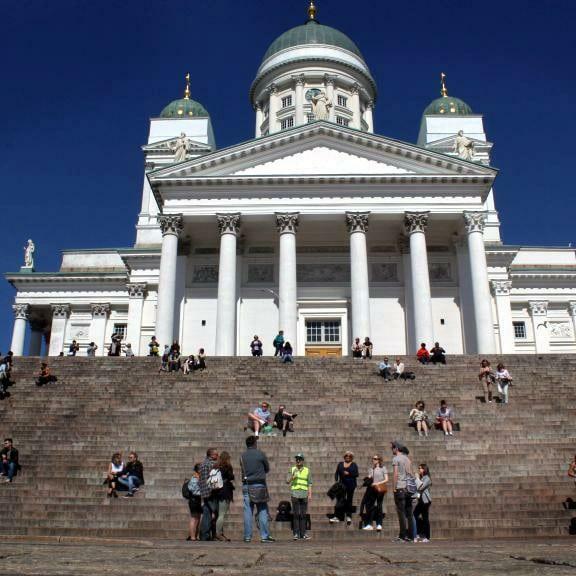 Especially if you are visiting Helsinki for the first time, this tour is perfect for you. We’ll take you through the interesting history of our capital and tell you essentials about the everyday life in Finland. We give you information regarding the places, restaurants and attractions you should visit. On the walking tour led by a local Finn you will get way more personal and in depth guiding than any of the bus tours ever. Helsinki is very walkable city and the distances between sites are short hence walking tours make more sense than sightseeing buses. The tour is going to take approximately 2 hours. The tour starts from the Senate square, the white cathedral stairs. During winter 2018-2019 we have a Free Walking Tour in English on Wednesdays, Fridays and Saturdays starting at 11AM. Meet your guide with a green cap by the large staircase of the church. En el invierno de 2018-2019 organizaremos una ronda en español todos los sábados (excluyendo festivos). Easy way to get there: Take a tram 1,2,4, 7A or 7B and get of at “Senaatintori” -stop. The tour is tip-based and there is no reservation is needed for individuals, though highly recommended. This way we can anticipate the group size and provide appropriate amount of guides. If you guys have a group attending (4 or more) we need really need the before notice. This way we can maintain a high quality service by having additional guides if necessary. We don’t take bigger groups of 10 pax or more to the free walking tours because this will lead to bloated group sizes.